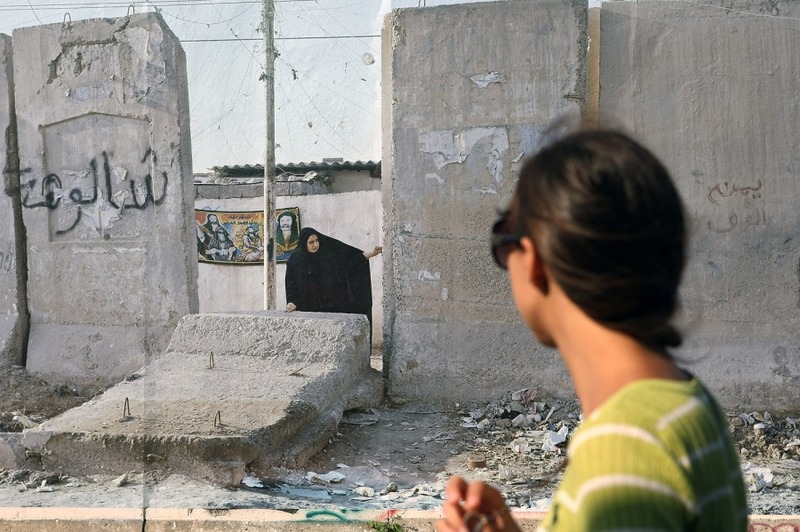 A visitor looks at a photo of a separation wall in Sadr City, Baghdad, Iraq. The photo is included in the 'Wall on Wall' exhibition at the East Side Gallery section of the former Berlin Wall on July 10, in Berlin, Germany. 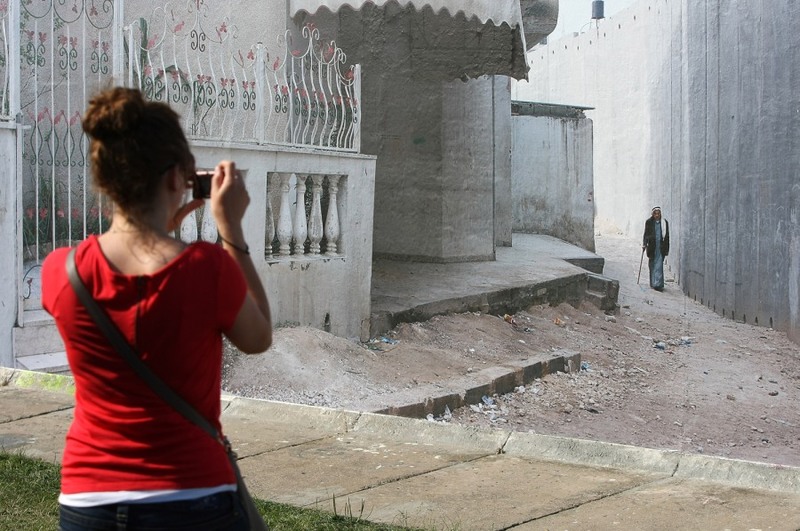 A visitor takes a photo of a photograph of a separation wall in Nazlat Issa, in the West Bank, Occupied Palestinian Territories, part of an exhibition displayed on the East Side Gallery section of the former Berlin Wall, in Berlin, Germany on July 10. A worker hangs a photo of the North and South Korean border's Demilitarized Zone (DMZ) as part of the 'Wall on Wall' exhibition at the East Side Gallery section of the former Berlin Wall on July 10, in Berlin. 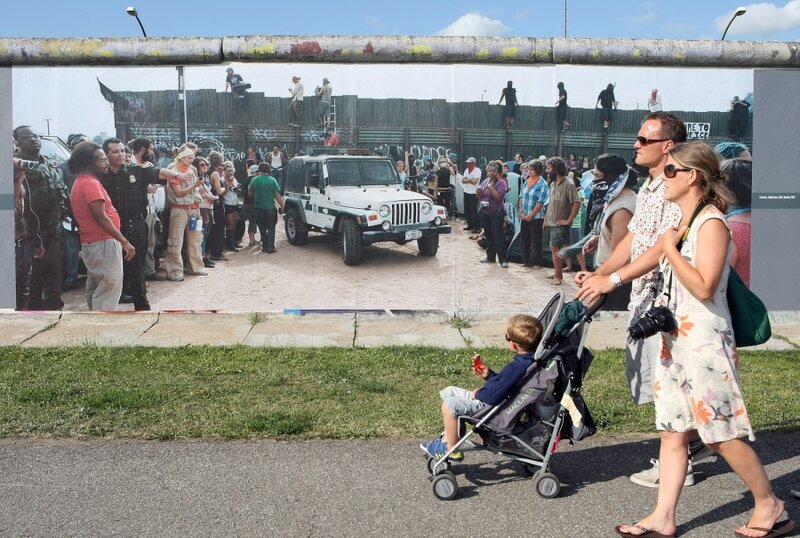 Tourists pass by a photo of the United States-Mexico border in Calexico, Calif., part of the 'Wall on Wall' exhibition at the East Side Gallery section of the former Berlin Wall on July 10, in Berlin, Germany. A series of pictures of separation barriers are being exhibited on the western side of the Berlin Wall. Photographer Kai Wiedenhoefer’s exhibit features the barriers along some of the tensest borders of the world, including Baghdad, Korea, Cyprus, Mexico, Morocco, Israel, Belfast, and even former East Germany itself. The opposite side of this section of the original Wall is known as the East Side Gallery, a memorial to peace and freedom covered in murals questioning the legacy of the original Wall. The east side was also the subject of several demonstrations earlier this year when a section of it was threatened with removal to make way for luxury apartment buildings. 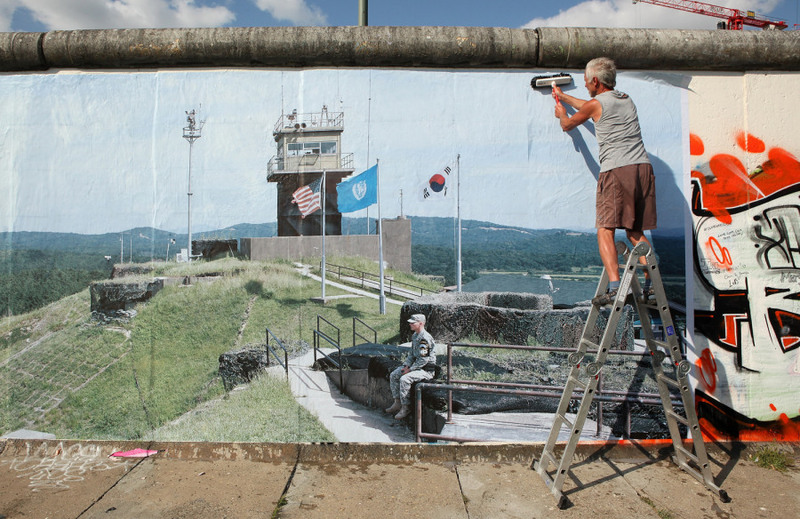 Wiedenhoefer told reporters, “Walls are no solution for today’s major political problems and I think the Berlin Wall is the best proof of that.” He photographed the barriers between 2003 and 2012 after raising funds on Kickstarter. It took five years to get permission to display the images in Berlin. The “Wall on Wall’ exhibit will run through Sept. 13, 2013.